February 13, 2005: The expo 67: not just a souvenir website, hosted by Concordia University in Montréal, will be launched in a few weeks. Concordia University professors Rhona Richman Kenneally and Johanne Sloan have been working diligently over the past several months preparing the exhibition with a team of students and professors from Concordia. The following exhibition description, forwarded to us by professors Richman Kenneally and Sloan, gives us an idea of what we can look forward to. 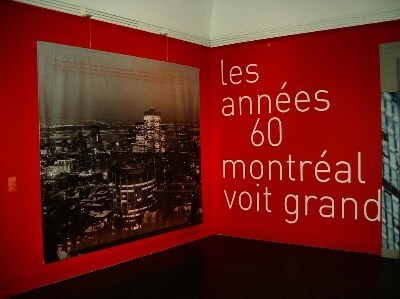 This exhibition seeks to complement the current temporary exhibition at the CCA, The Sixties: Montréal Thinks Big, by zooming in on one element introduced in the main galleries. Expo 67, it can be argued, is a kind of allegory for transformations occurring on a larger scale to the city’s urban environment. 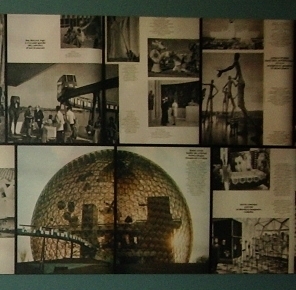 At Expo 67, as in Montréal, modernism had to be performed: it could not be assumed. This was clearly the case in architectural terms, as Montréal Thinks Big demonstrates through drawings and photographs of the pavilions at the site. But the morphology of modernism is also evident in a much broader range of artefacts, such as souvenirs, clothing, food items, furniture and interior design, postcards, signage, and other visual ephemera, all of which manifest a dynamic tension between modernist impulses and articulations of tradition, folklore and history. Consequently, the four hall display cases shall contain evidence of the everyday material and visual culture related to this monumental event, bearing witness to what might be called the vision of Expo 67 — the idealism associated with modernist art, architecture and design; the aspirations associated with technological innovation; the promise of a cosmopolitan identity that could accommodate a multiplicity of national imperatives; the city as a utopian entity. This collection of objects is representative of the vast array of memorabilia that found its way into the homes of visitors and serves to trigger memory and nostalgia even to the present day. 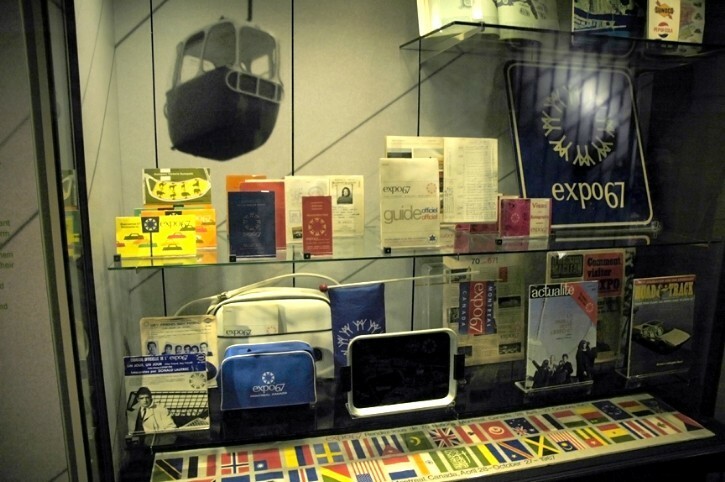 The artefacts we are presenting can be regarded as embodiments of the Expo experience as it was assimilated and domesticated by those who visited the site in 1967. Hence, this exhibition allows us to reconsider the significance of these objects as instruments in the dissemination of the modernist ethos both for Montréalers and for visitors from abroad. The Canadian Centre for Architecture and Concordia University are collaborating on a colloquium, to be held March 31st through April 2nd, 2005, entitled Montréal at Street Level. This event will be held in conjunction with the CCA exhibitions The Sixties: Montréal Thinks Big and expo 67: not just a souvenir. How was Montréal’s cultural identity fundamentally redefined during this crucial decade? Papers presented at the colloquium will explore how the cultural ferment of the time left its material, visual and spatial imprint upon the city, through the evolution of architecture and urban infrastructure, through its dynamic literary and artistic scenes, countercultural activities on the streets, transformations in the domestic sphere, new kinds of nightlife, innovative forms of media and technology, etc. Nor can the reinvention of Montréal in the 1960s be considered without highlighting Expo 67, the international exhibition that functioned as a kind of dream-city on the fringes of the real city. Expo 67 brought architecture, art, design, and technology together into a glittering modern package, heralding the ideal future city to Montréalers and visitors from afar alike. It is important to ask why this particular world’s fair was so successful, what its repercussions were for Montréal, and how it left such a significant material and imaginative residue in the lives of its citizens. This focus on specific cases and examples related to Montréal should lead to more theoretical discussions about popular culture and the everyday; modernism; utopianism; public and private space; multiculturalism; and cosmopolitanism. Moreover, the focus of this conference coincides with the recent interdisciplinary interest in cities as complex cultural formations. Montréal at Street Level shall, therefore, allow local and international scholars across various disciplines to develop new perspectives on this pivotal moment in the life of Montréal. 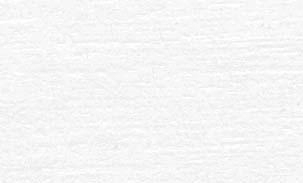 Note: The Expo 67 web site is located on a non-commercial ISP. It is intended solely for historical and educational purposes only.